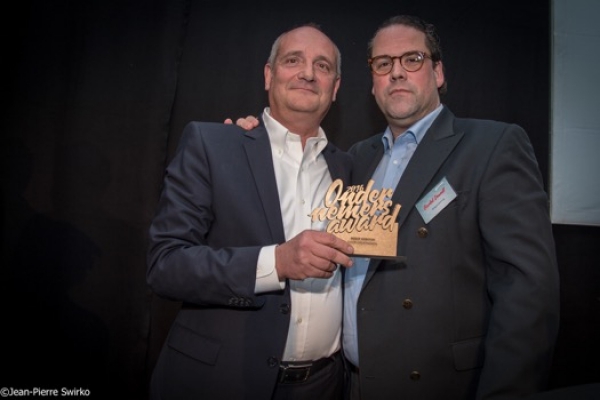 Hogent and Odisee hand over the yearly award for entrepreneurs 2016 to Mr. Frans Krauch, owner of the company Rendapart/Viano based at Aalst (Belgium). Frans Krauch received the award from the hands of last years winner. This award is given to the entrepreneur which is “bitten” by entrepreneurship and the creative development of his company. The employees are proud that this honor is falling in to the hands of Mr. Frans Krauch, proof that we are on the right track to further development of a succesfull company Rendapart/Viano in the near future. 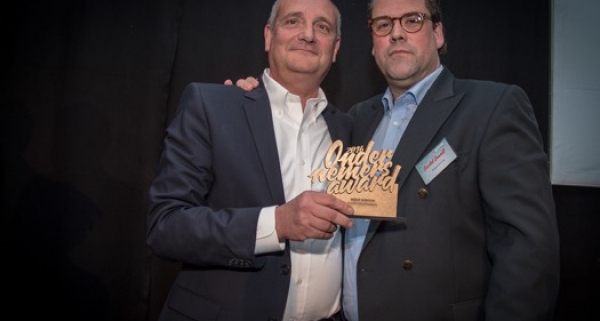 https://www.viano-organics.com/wp-content/uploads/2019/01/frans-ondernemers-award.jpg 400 600 VianoOrga@WP2018 https://www.viano-organics.com/wp-content/uploads/2018/09/viano-organics_logo_EN.png VianoOrga@WP20182016-05-01 21:46:372019-01-14 21:49:30Frans Krauch (Rendapart-Viano) wins award for entrepreneurship 2016 !